For sauce reduce coconut milk by 2/3. Add sweet thai chilli sauce and soy sauce. Serve on side of shrimp. 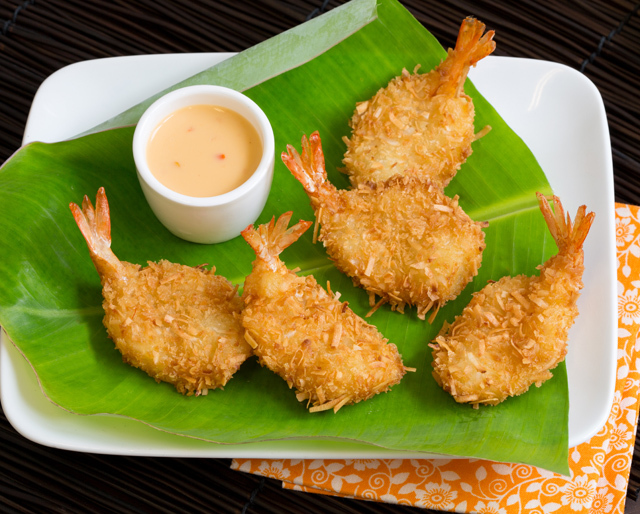 5 each Mrs. Friday’s Coconut Butterfly Shrimp 16/20 ct.